After two full rounds, the Social Dynamo initiative has left its positive mark on the 22 organisations and informal citizen groups that were hosted in its co-working space, but also on 220 NGOs and civil society groups that attended its training events. 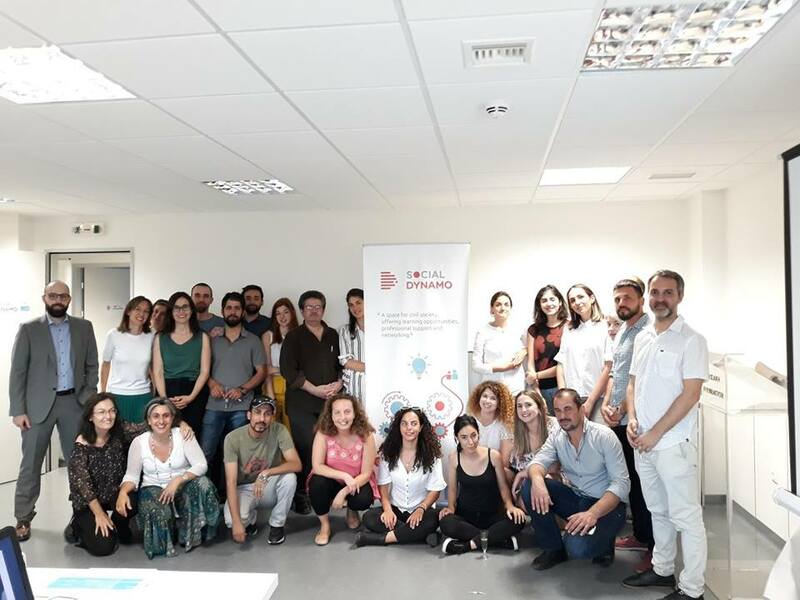 Social Dynamo was “born” from the cooperation between Bodossaki Foundation and the City of Athens, with the aim to further build the capacities of civil society actors. During its first year of operation, Social Dynamo offered expertise to these actors through a total of 61 training seminars on leadership, strategy, management, transparency, fundraising, human resources and project management, communication and technological innovation. These training seminars were assessed positively by 91% of the participants (1,301 participations in total). Equally important was the impact of the programme on the groups hosted, since all of them – according to a capacity-mapping tool used at the beginning and the end of the programme – improved their internal operations in 8 different areas.Moreover, the majority of those groups increased their visibility and expanded their funding sources, thus contributing to the sustainability of their work. Finally, the programme served as a networking hub for civil society actors, hosting a total of 32 events by various NGOs and organising events that gave rise to new partnerships. Throughout this last year, the mentors and professional consultants of the Bodossaki Foundation partner network have loyally stood by us; their voluntary contribution is translated into 411 hours of mentoring and consulting in various areas of organisational development. By improving their internal operation,civil society organisations become more effective, and maximise the positive impact for their target groups. The contribution of our pro bono partner network has been decisive regarding this impact. What we achieved during Social Dynamo’s first year of operation will form the basis for continuing our work in the 3rd round (June-December 2018), through which the following 12 groups will create an ecosystem of actors engaged in the education,culture and the provision of services forvulnerable groups. Amargi Integration (empowerment of asylum seekers and refugees for their entry into the labour market and their social integration), Camellia: Law hub for all (legal aid to vulnerable social groups), Cultopia social cooperative (cultural education for the promotion of an inclusive culture in modern civilisation), The Bee Camp (participatory environmental initiatives for a more sustainable urban environment), KROMA civil non-profit company (cultural and educational programmes aimed at familiarising the public with modern art), Aloni social cooperative (creation of a cultural space for children and families within the natural environment, in Petralona), and the Greek Carers Network EPIONI (support for informal carers of persons with diseases or disabilities). The hosted groups will participate in a series of training activities and workshops responding to their individual needs. They will also receive professional support via mentoring, consulting and coaching. These services are provided by the Bodossaki Foundation team and a wide network of partners with different areas of expertise, known for their ability to convey international and domestic good practices.